As we wrap up a whirlwind month with the massive announcement of Walmart acquiring controlling stake in Flipkart — while, the acquisition is huge for the Indian startup ecosystem, Amazon hadn’t really cracked India while Flipkart was definitely ahead in the game — I wish Flipkart would have stayed independent longer. In recent months, Nutanix also acquired Minjar (an Emergent portfolio company), another achievement for startup ecosystem, especially on the enterprise SaaS space. I wanted to take a moment to reflect on what this means for cross-border (US & India) startup ecosystem, in general and what we (at Emergent Ventures) are doing to foster this nascent ecosystem. 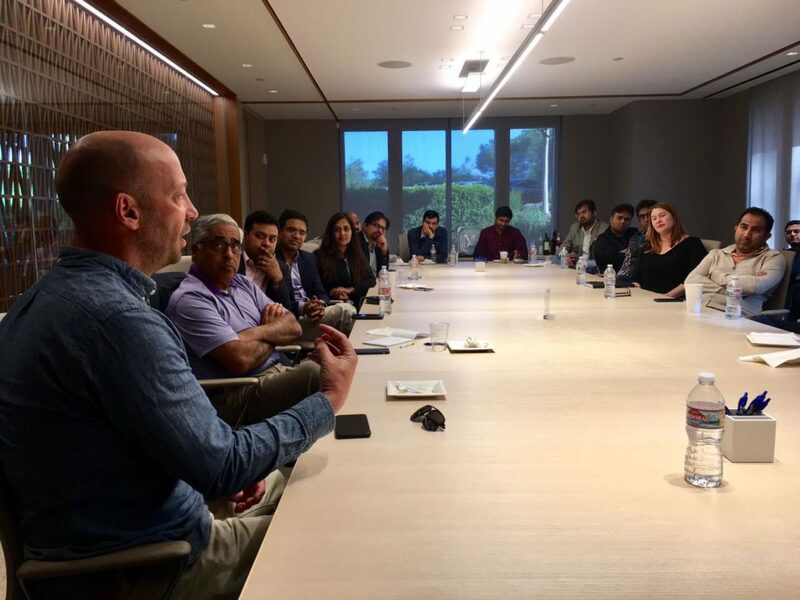 To that end, a few weeks back, Blume Ventures and Emergent Ventures organized a US-India cross-border roundtable in Silicon Valley. I wanted to summarize the learnings from that session. The intent of the round-table was to bring like-minded folks in the ecosystem from both Silicon Valley and India in one room and understand the gaps in the current support systems and brainstorm ways to improve it. To that end, folks from venture community in US and India attended the round-table including Samsung Ventures, Storm Ventures, Nexus Venture Partners, IDEO, Rocketship.VC, GCA Advisors, IIFL Investment Managers, Startup Bridge India, Sinewave Ventures, Alibaba, FalconX; as well as entrepreneurs and business leaders passionate about x-border startups such as Indus Khaitan (co-founder Bitzer mobile, acq by Oracle), Ramesh Panuganty (Founder Drastin, acq by Splunk), and many others including Observe.AI, DataWeave, Quora, Rizort and many others. There was a lively discussion on a variety of topics from sales/customer development, marketing, recruiting the first sales person and so on. 1. Wished they had moved to US earlier – one of the founders, who has now established a market presence in US. Once the founder realized the bigger market was in US, he moved to US. In addition, hiring the first sales head in US was game-changer for them. 2. Focus on marketing machinery – SEO machinery is needed to scale sales. A lot of startups get to $1M in ARR with founder heroics/hustle but to scale further they really need to master this aspect of startup building. US enterprise buyers are more value and packaging driven rather than relationship driven. Perception matters, have a business card that has a US address, preferably San Francisco. 3. Put cross-border entrepreneur to stress test – Do they understand product or what success looks like? Do they have the ability to hire right US sales people → since that can dramatically affect the trajectory of the company. Understanding the nuances of communication in US sales conversations, helps build rapport with the buyers faster. 1. Access to people who have sold products to enterprises — There was a unanimous request to provide access to folks who have sold products to enterprises before. This could potentially be facilitated via an informal meetup (e.g. “Daru pe charcha”) which includes startup bridge alumna and a formal office hrs with a set of experts for peer learning. The amazing thing about the valley is, there are a large number of folks who have 10+ years experience in enterprise space – who are available for mentorship and guidance. The onus is on us, now to make that happen! 2. Guidance on how to structure a cross-border company — Running a startup is hard. Running a cross border startup adds its own level of complexity. Should the Indian entity be a subsidiary of the US entity or vice versa? (there’s no right answer, however, in this day an age, Delaware Corp can be started from India, most people don’t know this → Stripe Atlas and so on are helping create a lot of awareness in this space). 3. Differences in US enterprise buyer and India — An astute observation was made by a seasoned entrepreneur that there’s a fundamental difference between US enterprise buyer and Indian enterprise buyers. US buyers are more “solution oriented” vs “feature set oriented”. This is a significant shift in how you position the company and products and something that cross-border startups have to navigate if they have early customers in both US and India. 4. How to pitch to US buyer — Pitching to US buyers is different from pitching to Indian buyers because of the previous point. In order to help bridge the gaps, there was a storytelling session organized during Startup Bridge India conference last year. This session was a hit. Every founder participating in the session and conference could see a material difference in confidence and delivery of the pitches. Clear ask -> Having a “masterclass” for GTM and sales is much needed to bridge this gap. In summary, we have heard loud and clear some of these asks by the cross-border entrepreneurs. Stay tuned for exciting announcements in near future on this. Looking ahead, I am excited about the possibility of the next generation of startups that are coming down the pike. © 2019 Emergent Ventures. All rights reserved.